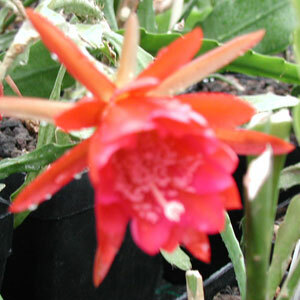 Epiphyllums (syn. 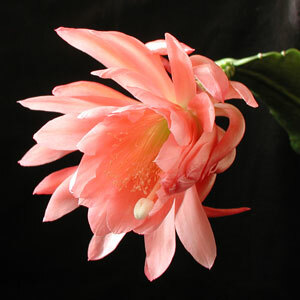 Schlumbergera, Phyllocactus, Phyllocereus) are Epiphytic cactus plants. 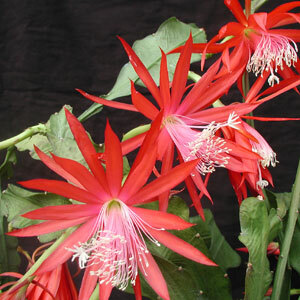 They grow in a bushy manner with long leaflike lids. 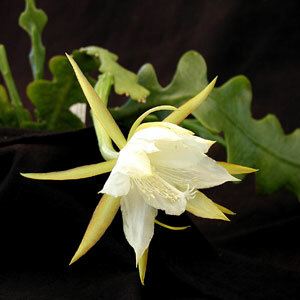 Epiphyllum species flower during the night. 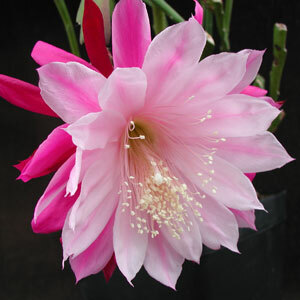 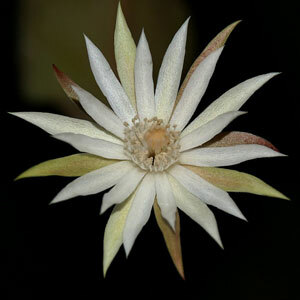 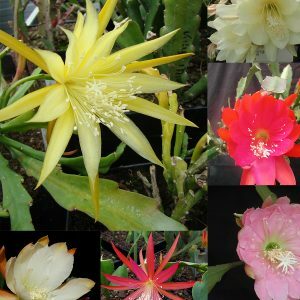 Species and hybrids belonging to the Epiphyllum family are found in Mexico and regions of Southern America. 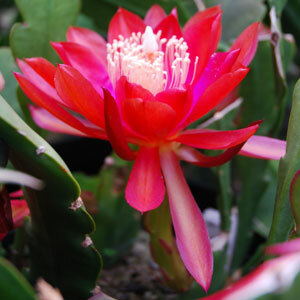 These Epiphytes are best cultivated by rooting cuttings or germinating them from seed. 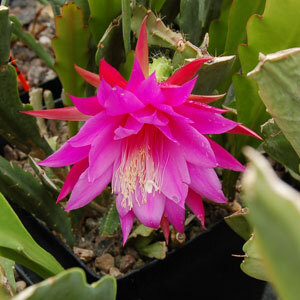 Epiphyllums need a good draining soil mix with clay, humus and bark added. 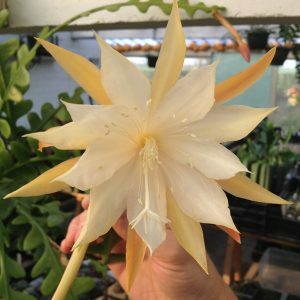 Water them on a regular basis. 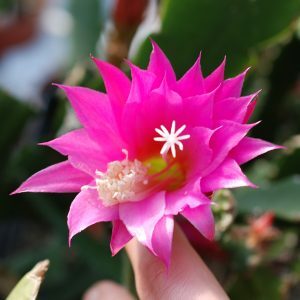 Minimum temperatures should be kept around 15 °C.